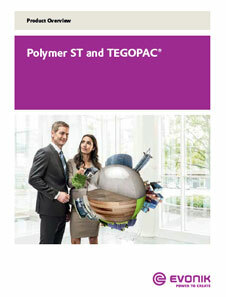 TEGOPAC® Bond 251 by Evonik is a silane modified hybrid polymer with a modified backbone that contains hydrophilic segments and lateral crosslinking groups. It is a plasticizer and solvent-free grade. It releases ethanol during the curing process (in presence of water and a catalyst). Offers excellent bonding properties to many different substrates, e.g. metals, ceramics, wood, concrete, mortar. Provides excellent elastic recovery properties to applications where movements or vibration affects a joint, e.g. to ensure longer life cycles of joints. 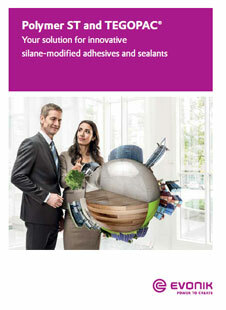 Suitable to replace flexible PUR adhesives and sealants. Can formulate methanol-free formulations with a convenient reactivity. TEGOPAC® Bond 251 is used in the formulation of fast assembly adhesives, roof sealing applications or pressure sensitive adhesives using various plasticizers, fillers, and other additives. It has a shelf life of 6 months.